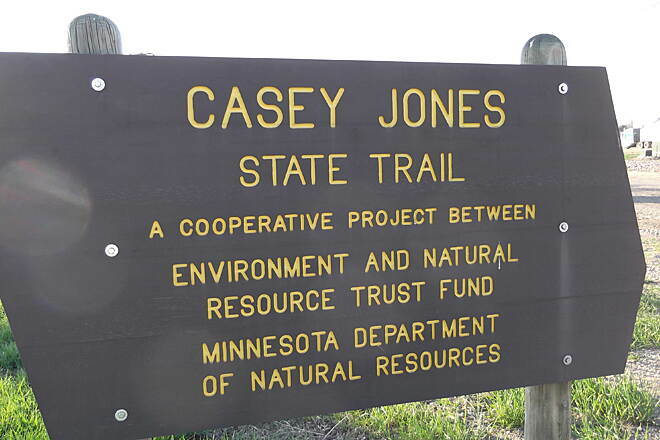 Three separate segments make up the Casey Jones State Trail, which is one of the first state trails authorized by Minnesota state trail legislation in the 1960s. 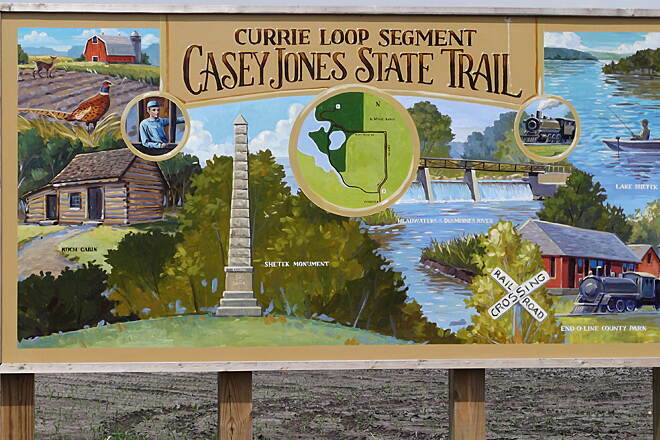 The rail-trail is named for the engineer immortalized in the “Ballad of Casey Jones.” In 1900 in Mississippi, the engineer “died at the throttle” when the train he was conducting collided with another train. 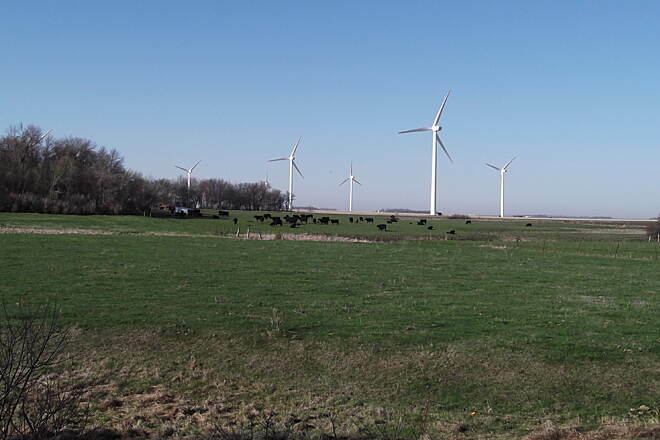 As for the trail itself, it courses through remnants of tallgrass prairie, providing glimpses of wind towers as it travels through woodland ravines amid a sea of agricultural land. 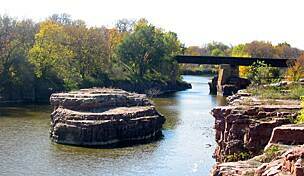 The longest section, from Pipestone to just beyond Woodstock, occupies an inactive railroad corridor for 13 miles. 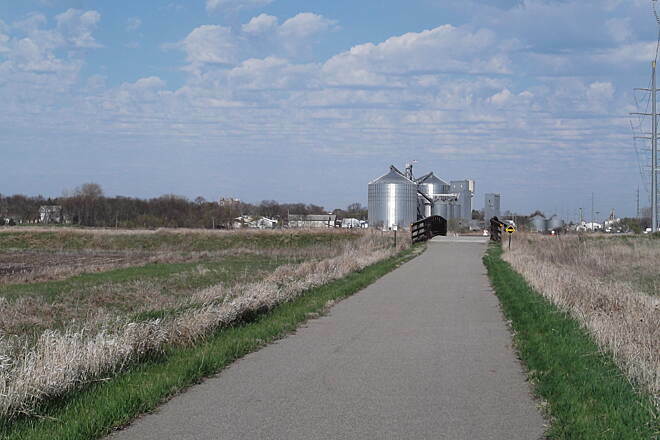 This section is paved for 5 miles immediately east of Pipestone. The remaining 8 miles that continue to County Road 65 east of Woodstock are currently scheduled for grading and are being surfaced in aggregate. 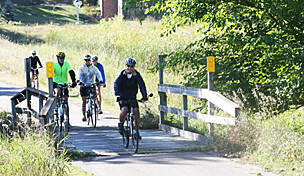 Another section runs from CR 26 east for just 1.5 miles into the small town of Lake Wilson. 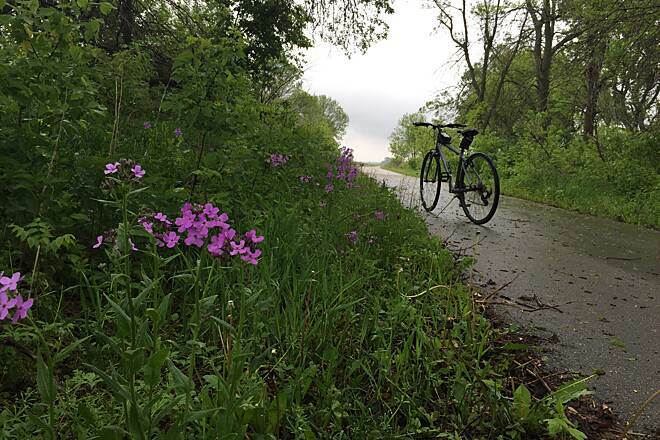 The third section, which is entirely paved, forms a 6-mile loop from the tiny city of Currie to Lake Shetek State Park. 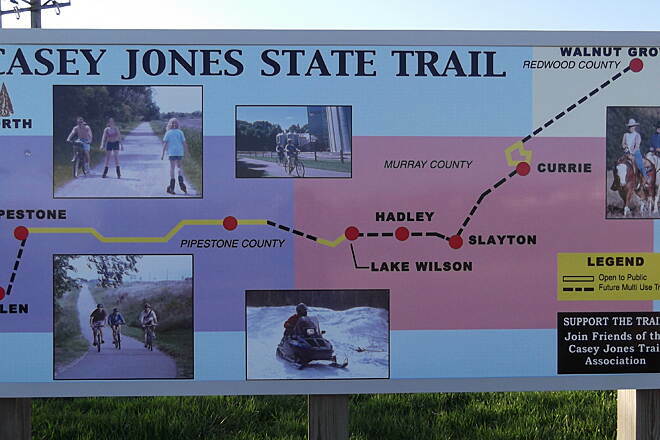 This portion of the Casey Jones State Trail is wheelchair accessible; horses are not allowed. 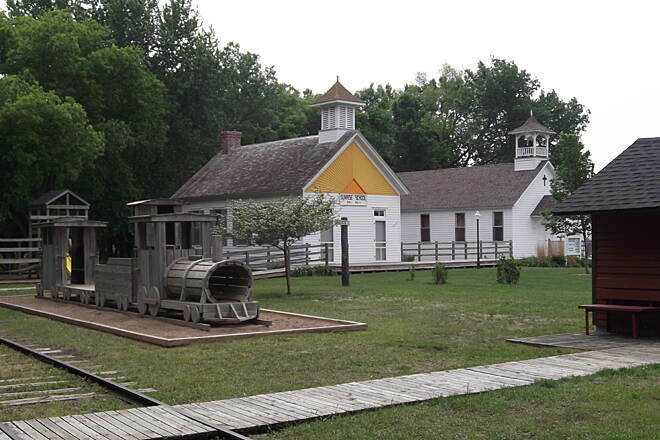 Trail users who want a bit of history may be interested in nearby attractions, including the Laura Ingalls Wilder museum in Walnut Grove; museums in Currie and Tracy that feature displays of railroad artifacts; and Pipestone National Monument, located about 1.5 miles from the Pipestone trailhead, which highlights the history of local American Indian quarries. 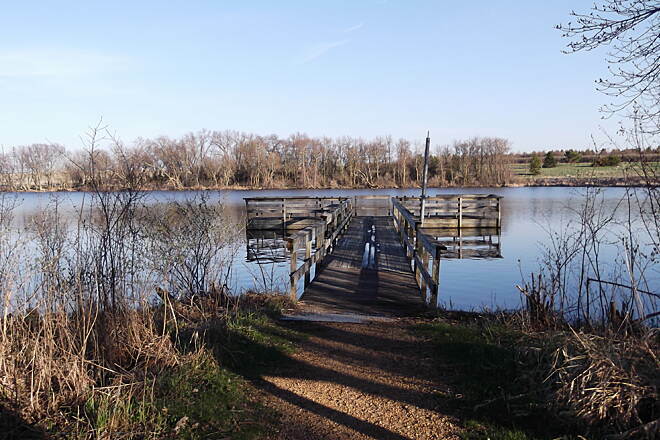 In the future, the three disparate segments will be linked through a coordinated effort between the Minnesota Department of Natural Resources and the counties in which the segments are located, although there are no formal plans for construction at this time. 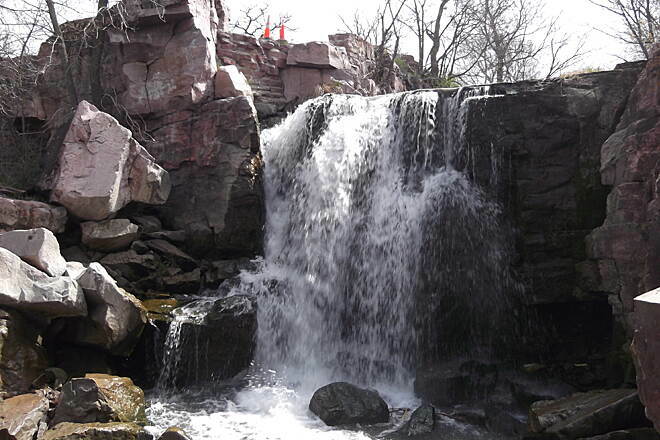 To reach the trailhead in Pipestone, from I-90, take Exit 1 in Minnesota. Follow MN 23 north 28.5 miles. Turn right onto 101st St., and in 0.2 mile turn left onto Eighth Ave. N.E. 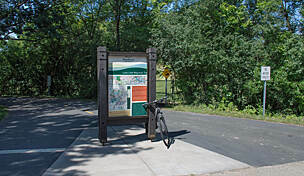 In 0.6 mile turn right just before the intersection with MN 23, and take the immediate next left on a side road to access parking for the trail. 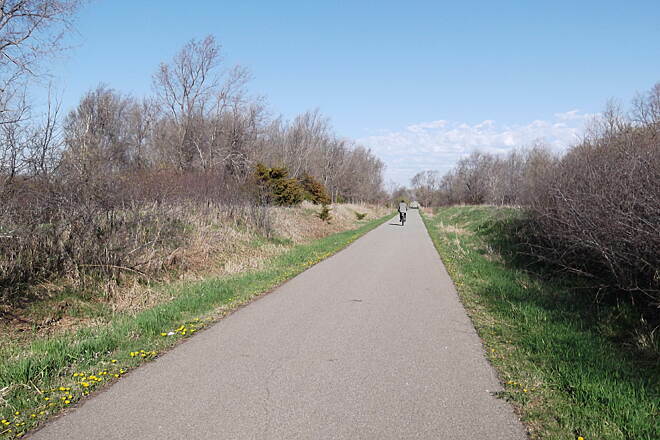 In Woodstock, access the trail at the community park on East St. From I-90, take Exit 1 in Minnesota. Follow MN 23 north 28.5 miles. 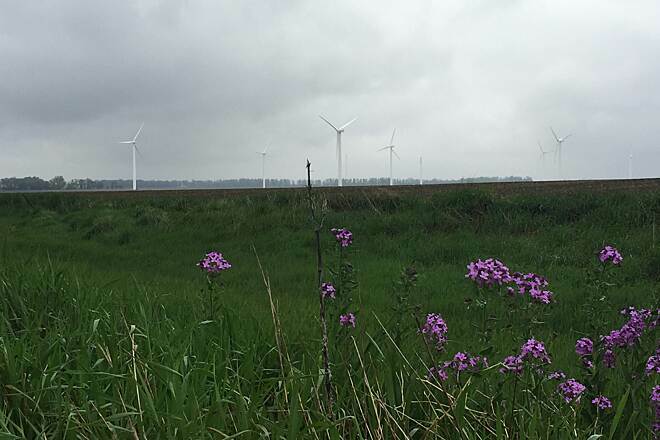 Turn right onto 101st St./MN 30, and go 10.4 miles. Turn left onto 180th Ave., and in 1.2 miles turn right onto Third Ave. In 0.2 mile turn left onto East St., and the park will be on your right. Alternatively, from I-90, take Exit 26. Follow MN 91 north 24.6 miles. 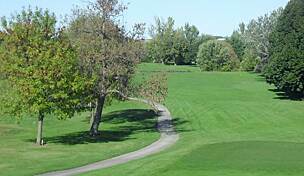 Turn left onto MN 30/Center Ave., and in 7.9 miles, turn right onto 180th Ave. Follow the directions above beginning on 180th. 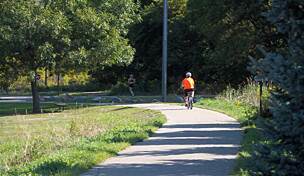 Access the trail in Lake Wilson at the community park on First St. E. From I-90, take Exit 26. Follow MN 91 north 24.6 miles. Turn left onto Center Ave., and in 0.3 mile turn right onto Broadway Ave. In 0.3 mile turn right onto First St. E., and the park will be on your right. 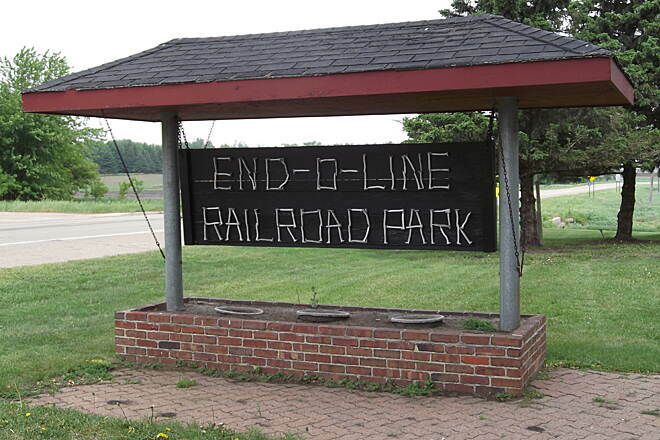 To access the paved loop, park in Currie at End-O-Line Railroad Park and Museum off Mill St., just south of the trailhead. From I-90, take Exit 43. Follow US 59/N. Humiston Ave. 22.6 miles north. Turn right onto N.E. Second St., and take the first left onto Grand Ave., which becomes 210th Ave., then 121st St., and then 200th Ave. Follow it 9 miles, and turn left onto MN 30. In 0.1 mile turn right onto Mill St. 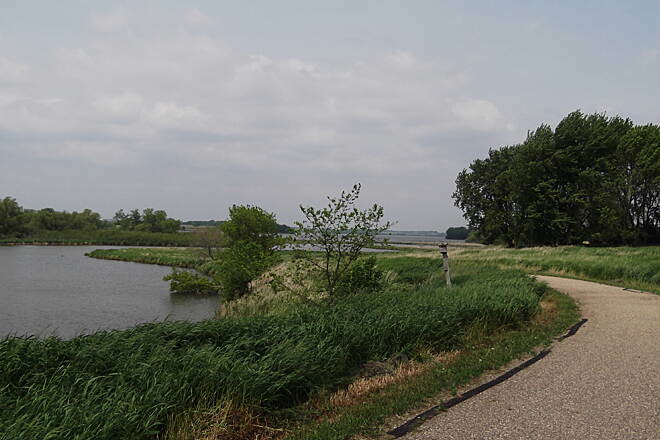 In 0.6 mile the park will be on your right, and the trail is on your left. 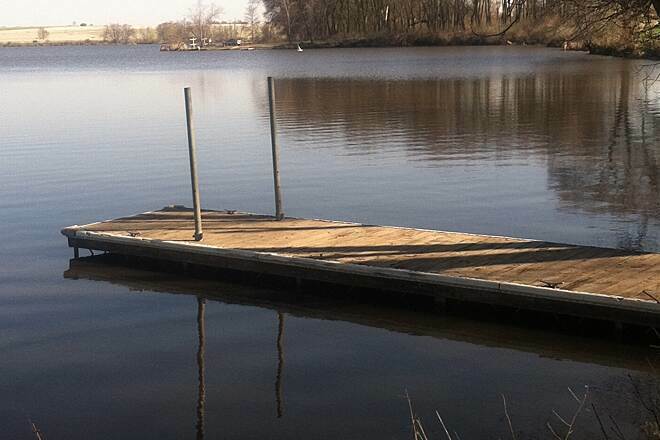 You can also park at Lake Shetek State Park. 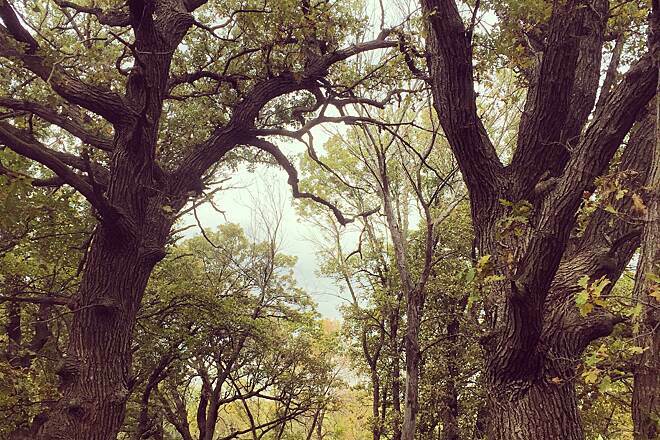 To reach the state park, follow the directions above to Mill St. 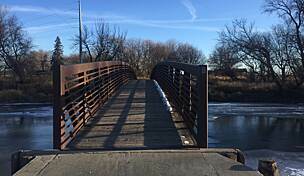 Follow Mill St. 2 miles, as it becomes 200th Ave. 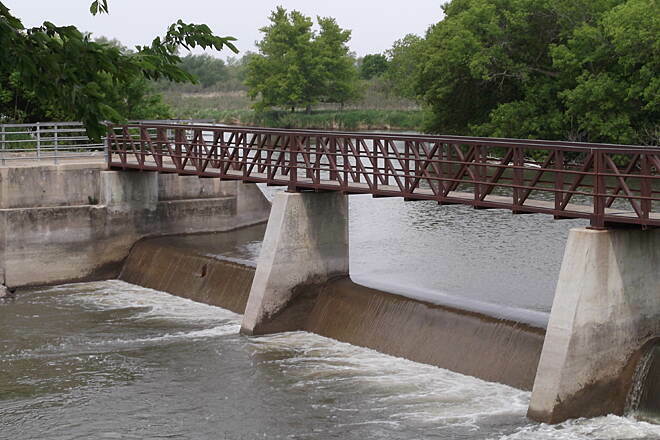 Turn left onto County Road 37/State Park Road, and go 1.7 miles to the state park. Our group totaled 4 when we biked this trail. 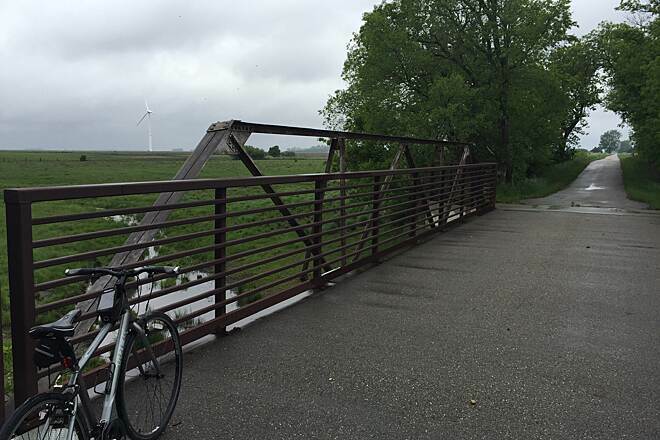 We didn't think it was so windy the morning we started out from Pipestone on the trail, but we found out quickly how a little wind could affect your ride! 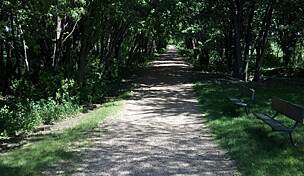 There is nothing to block the wind on this trail, but it's very beautiful none the less, & very well maintained too. 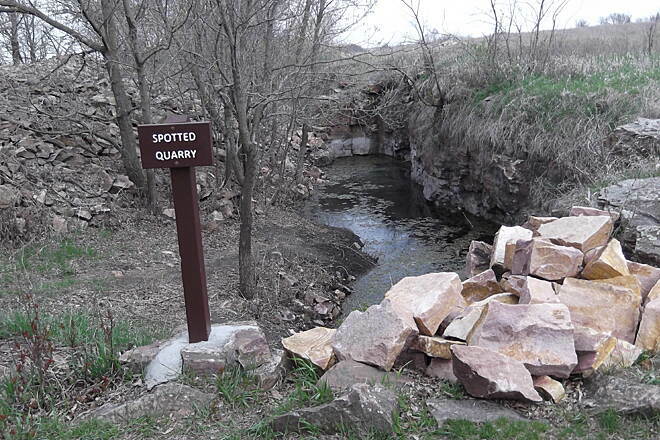 We stopped when it became the "natural" trail & headed back to Pipestone. There is a slight grade going both ways, so even though we only did the 10 mile round trip, we were exhausted at the end! 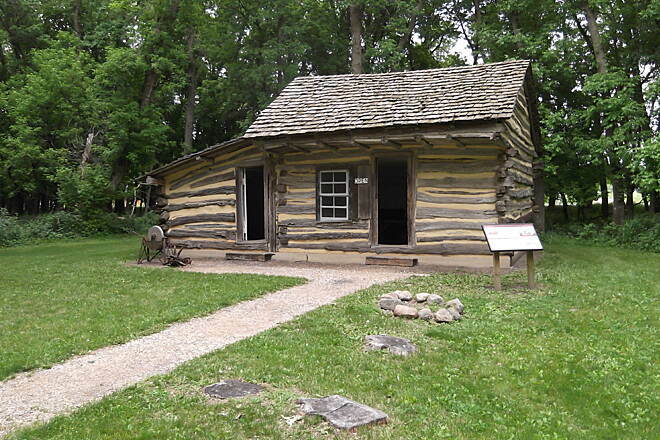 We had a really great time exploring the historical buildings of downtown Pipestone, eating at the famous Lange's Cafe, & walking around the beautiful trails of the Pipestone National Monument, which is definitely worth a visit! 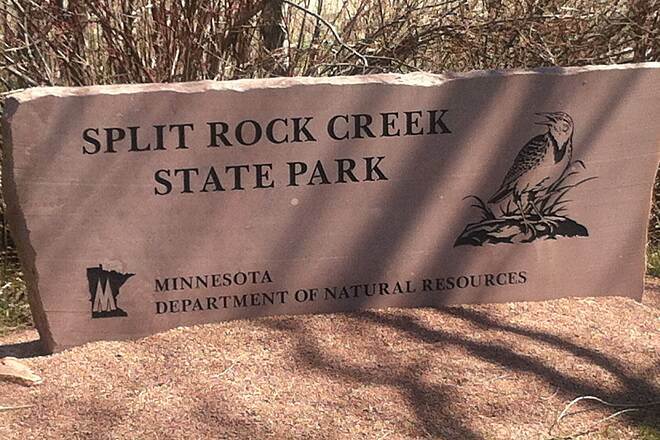 We camped at Split Rock Creek State Park, about a 9 mile drive south of Pipestone. 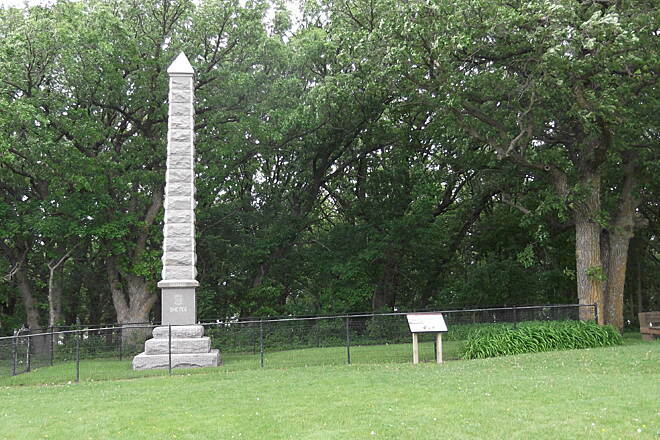 This is a very beautiful & well maintained park, & the staff was very friendly too! I would recommend reserving a spot before hand though as we showed up at 3 o'clock in the afternoon & took the one lone remaining spot! 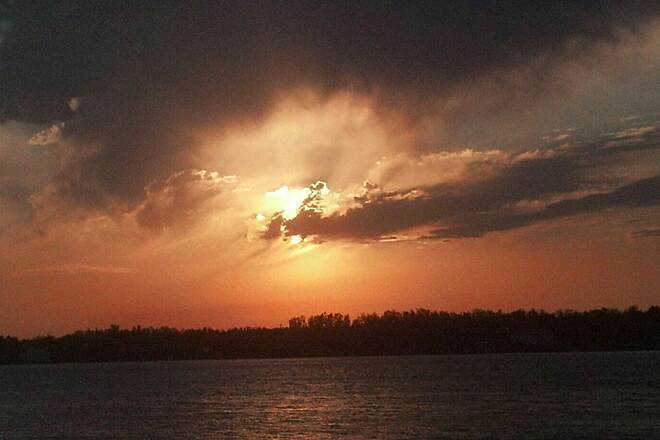 They have nice nature trails, a beach, & you can rent canoes & kayaks as well. 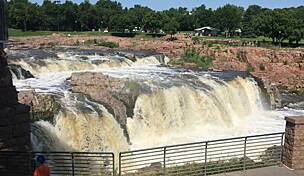 My husband is into Geocaching, & this summer, the State Parks of Minnesota are promoting it. The one here was a continuous cache, where we had to find the clue to bring us to the next one, which eventually ended at the cache. At each one in the state, you can collect a little memento from this particular program. A very fun & recommended activity! The 5 mile asphalt section was decent. 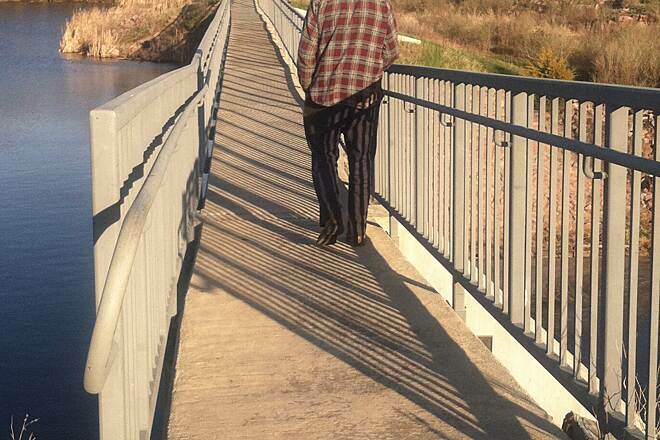 A little boring scenery but I expected that. After that it claims to be a "natural surface", which I expected to be a dirt path, but the path was virtually non existent. Basically like riding thru a grass field. Needless to say, I didn't try this portion. 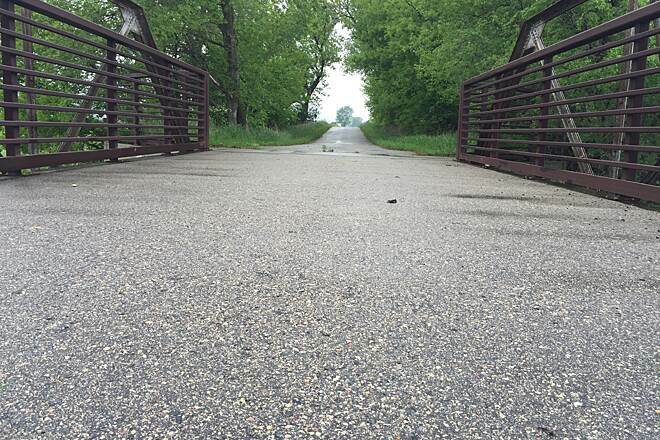 The first 5 miles was paved and very smooth. If it wasn't just recently paved then it is holding up very well. 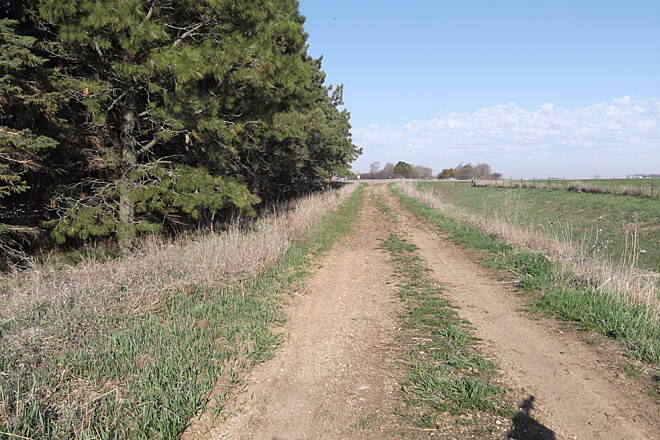 Mostly farm land along this stretch, with very little shade. Would be quite hot on a 90 degree day. 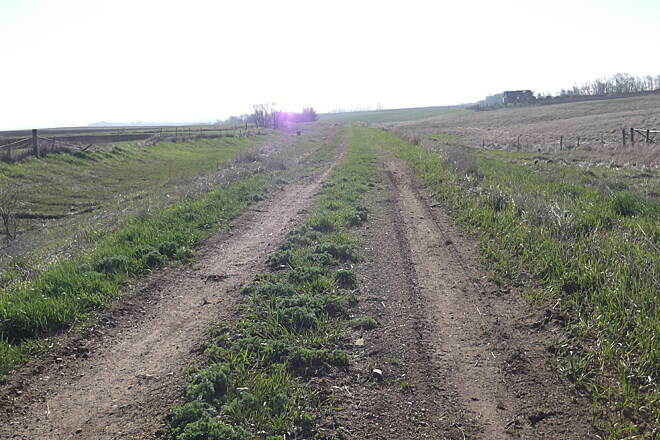 The unpaved portion, we didn't attempt. The beginning was not crushed rock, but looked more like a well used field road. Bumpy and uneven. I do not know if it had crushed rock anywhere along the remainder of the trail, but we were not about to attempt it on a 90 degree day. 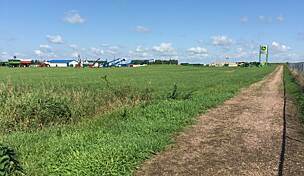 Looks like it too is open farm land without much shade. We may have tried it had it appeared to be a smoother surface. 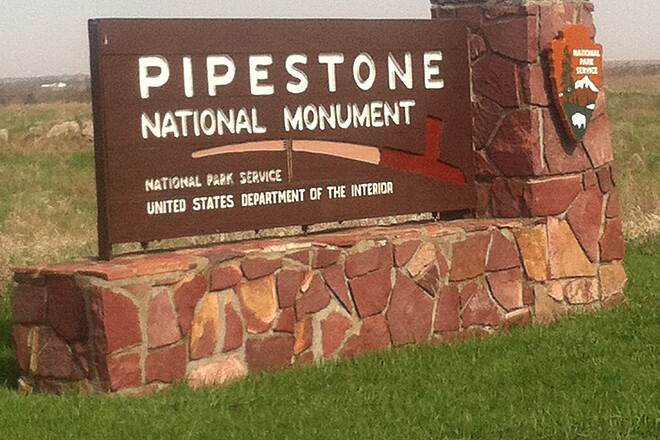 The Pipestone National Monument is just 1.5 miles from the trail head, well worth the visit. 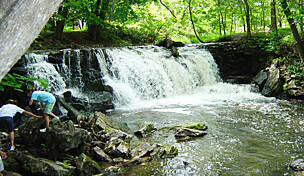 Split Rock Creek State Park, is 8.5 miles south of the trail head. Well worth the visit!! It's a small park, but oh what a GEM!! 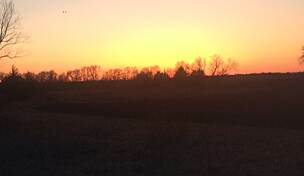 A little peace of heaven on earth!! 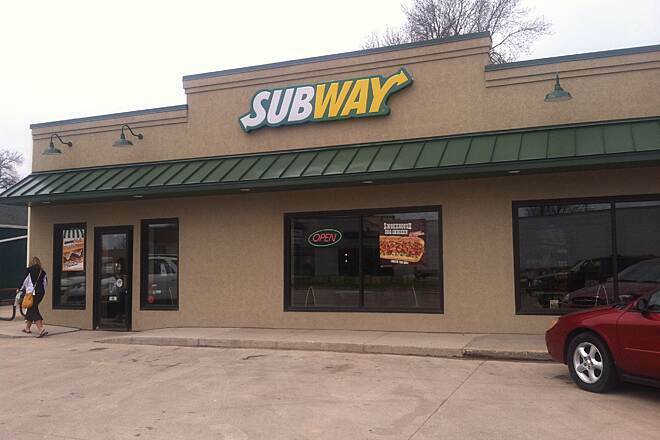 Lot's of eating establishments just blocks from the trail head. 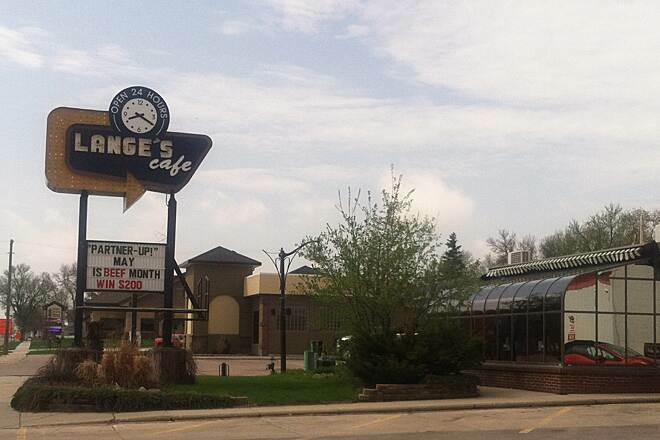 Subway and Lange's Cafe & Bakery in Pipestone were the only 2 that we visited, but we highly recommend! 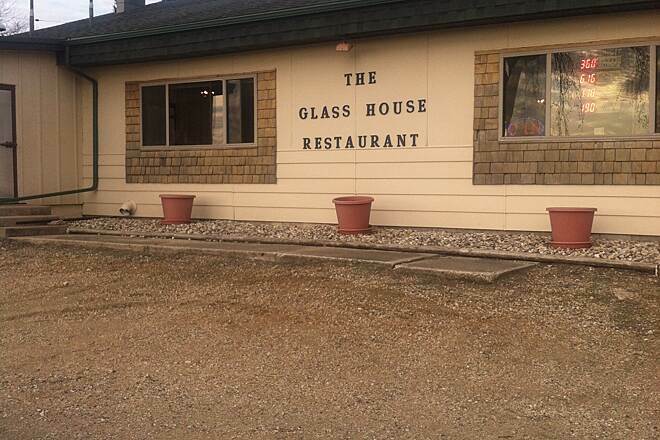 The Glass House in Ihlen, MN is another highly recommended restaurant that is 7.6 miles south from the trail head, and only 3/4 mile from Split Rock Creek State Park. 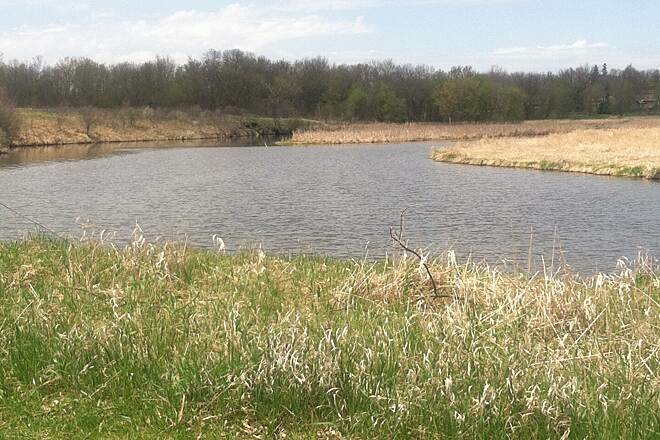 Easy access from Lake Shetek State Park. 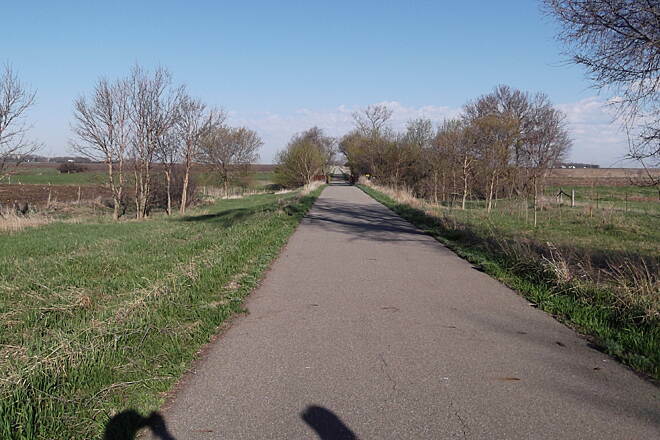 Many portions of the trail are tree lined. 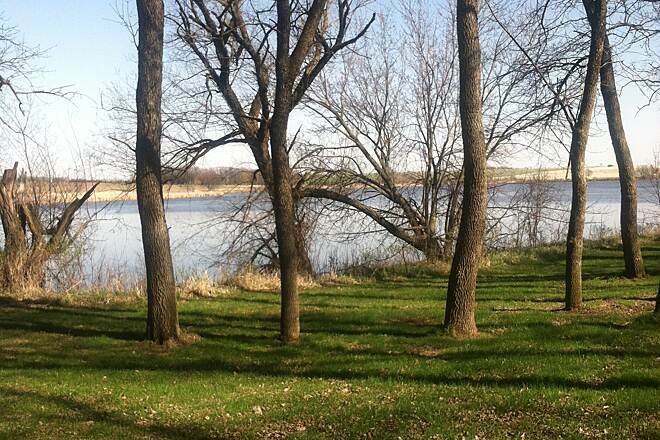 Beautiful views of the lake and river. Landscape is varied. 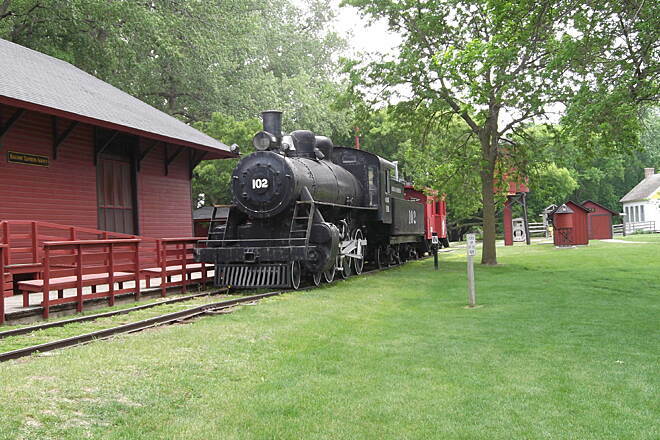 The small town of Currie and the Rail Road Museum are worth the ride around town. Currie seems to be struggling though. So sad. 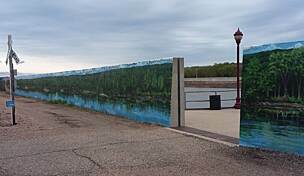 Very nice people in a small southwestern Minnesota town.